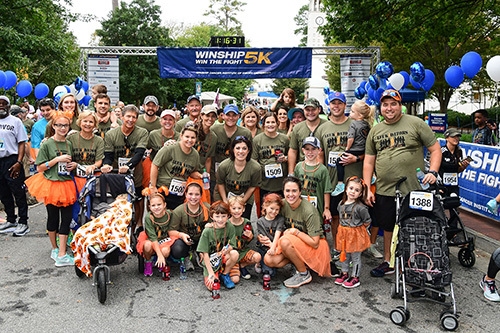 Winship cancer survivors are the inspiration behind the Winship 5K! 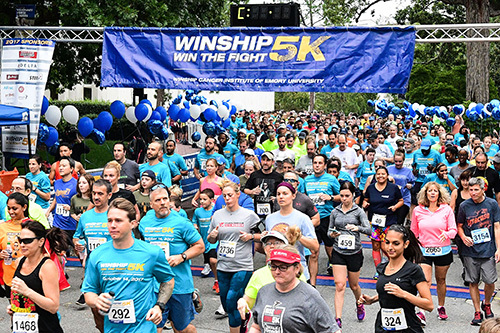 Over 3,400 participants took part in the Winship 5K. 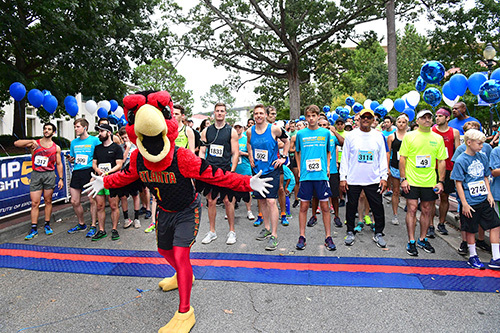 Atlanta Hawks mascot, Harry the Hawk at the start of the race. Atlanta Hawks legend Dominique Wilkins served as grand marshal for the race and he's pictured here with Winship leadership. The Leukidators raised over $200,000 and are this year's top fundraising team! Funds raised at the Winship 5K supports the work of many cancer researchers at Winship. 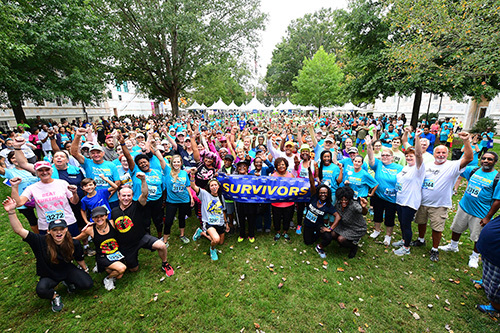 More than 3,400 runners and walkers helped to raise a record amount of money for cancer research at Winship Cancer Institute of Emory University. The 7th annual Winship Win the Fight 5K Run/Walk, held on Saturday, October 14, brought in more than $978,000. 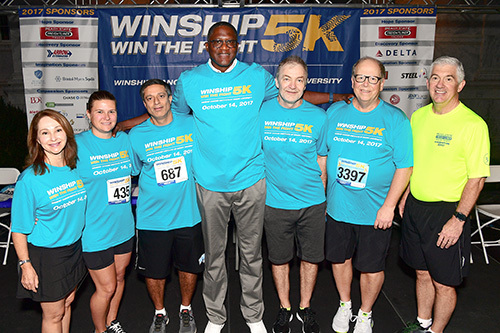 "We set an ambitious goal this year of $1 million and our supporters did an amazing job of helping to make the 7th annual Winship 5K an extraordinary success," says Walter J. Curran, Jr., MD, executive director of Winship. "This year marks Winship's 80th anniversary and the money raised at the Winship 5K will support cancer research projects that are helping to lessen the cancer burden in the state of Georgia." 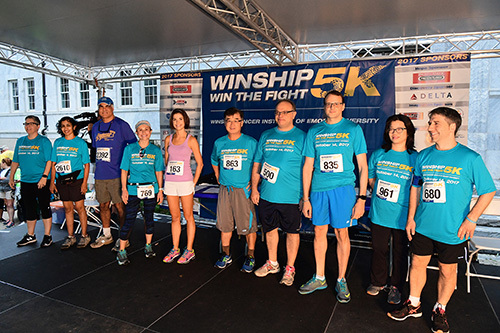 The Winship Win the Fight 5K allows participants to direct their tax-deductible donations to benefit specific cancer research projects based on their personal interests. Donations will be accepted until November 30, 2017. For more information, go to: winship5K.emory.edu. Plans are already in the works for the 8th annual Winship Win the Fight 5K to be held in 2018.